Start Community Bank of New Haven has a single branch located at 299 Whalley Avenue in New Haven, Connecticut. It is also part of the Allpoint network, which provides its customers access to thousands of free ATMs nationwide. It offers business savings and checking accounts, lending, and remote deposit capture. There are currently no available online reviews for this company. Ready to get started with Start Community Bank of New Haven business checking? Apply now. 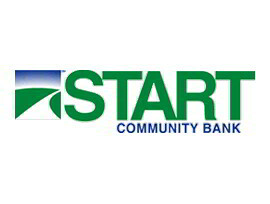 Start Community Bank of New Haven has a single branch located at 299 Whalley Avenue, New Haven, CT 06511. It is also part of the Allpoint network, which provides its customers access to thousands of surcharge-free ATMs nationwide. You can view its contact information to check its hours of operations. Start Community Bank of New Haven also offers the following business services: business savings and money market accounts as well as business loans like term loans, lines of credit, commercial mortgages, Small Business Administration funding, equity buyout, and information technology equipment and software financing. It currently does not offer credit cards and wealth management. Find out more about its small business offerings on its website.